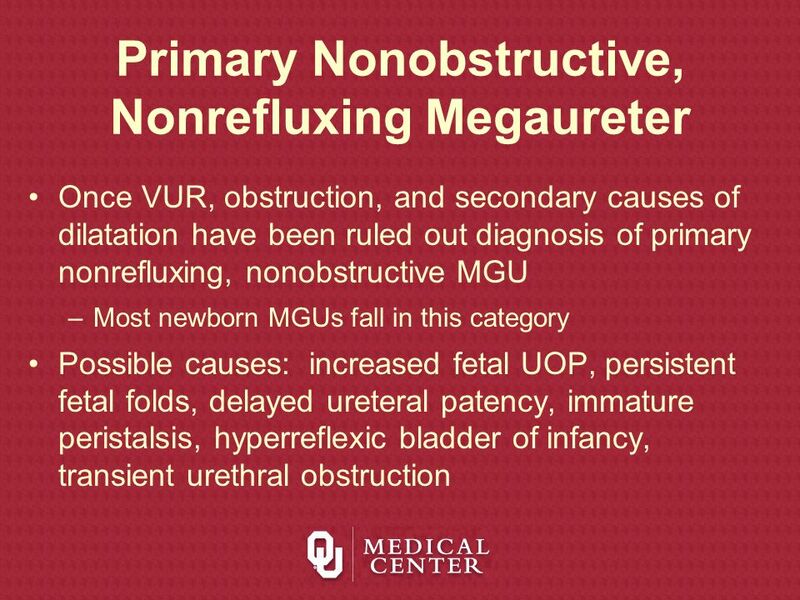 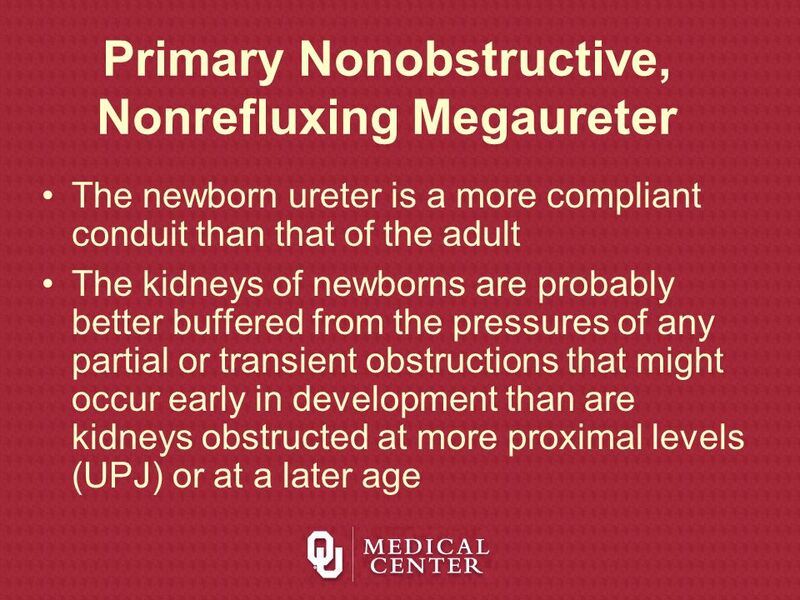 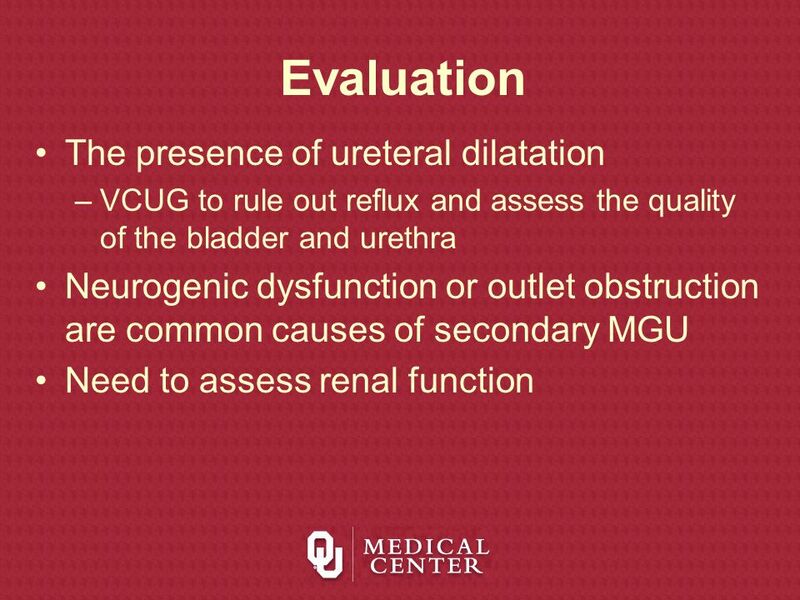 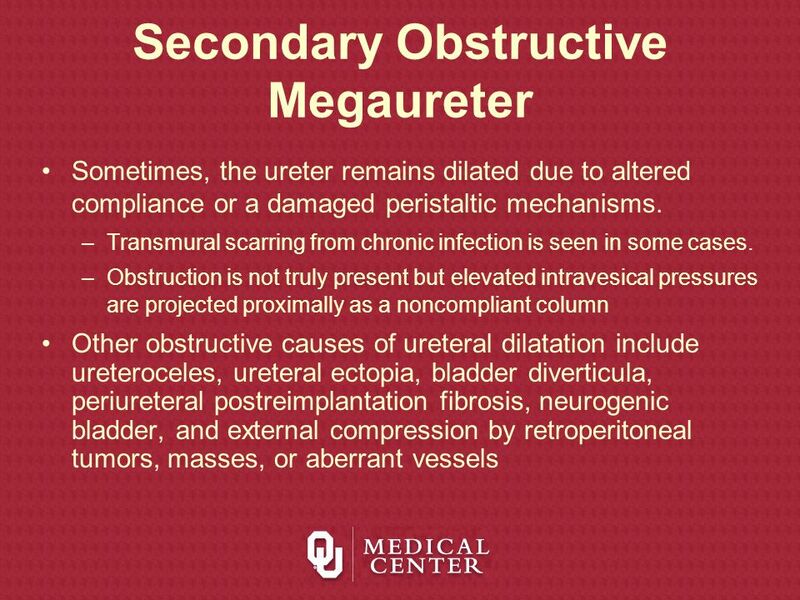 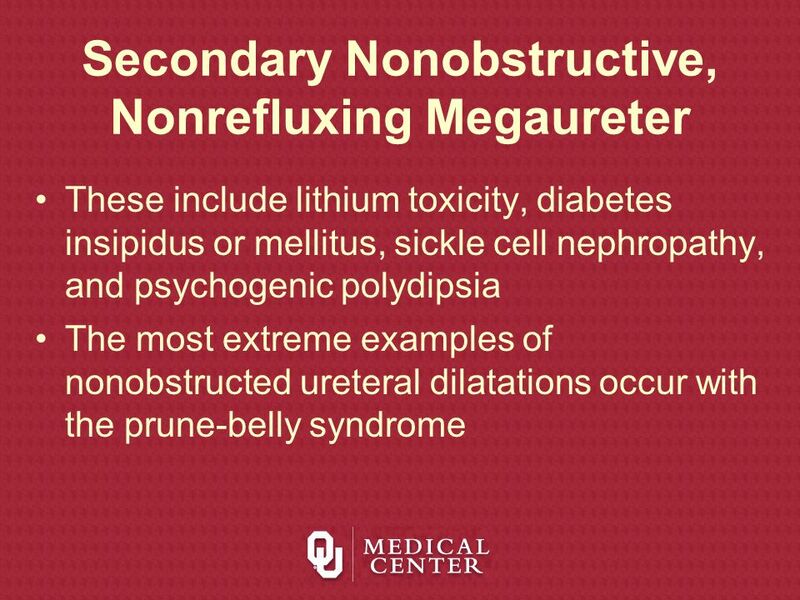 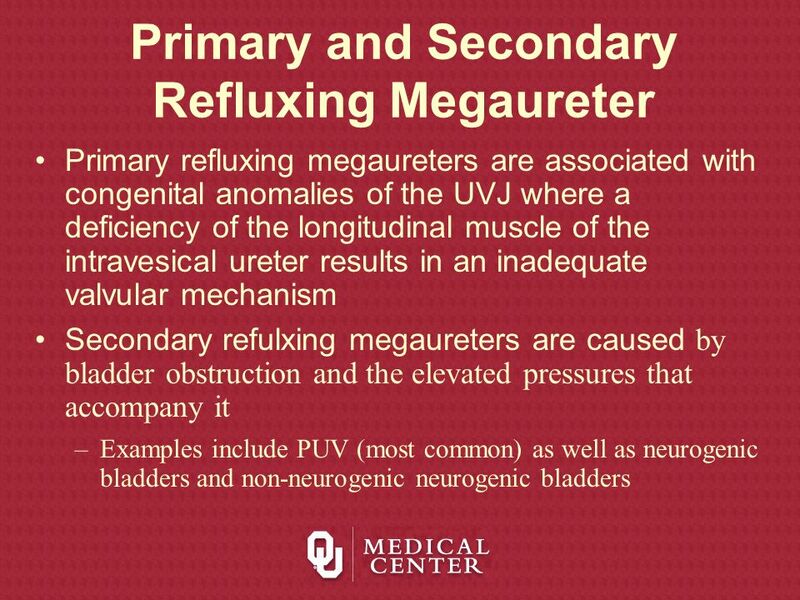 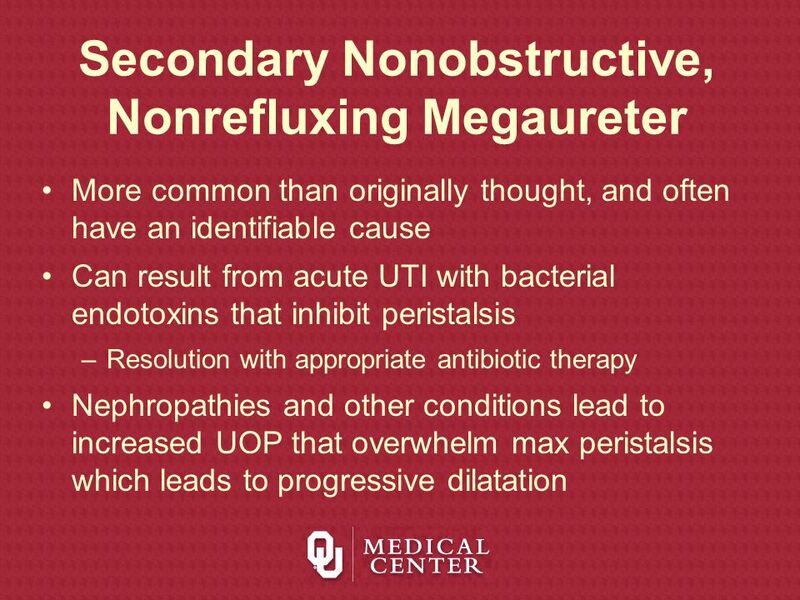 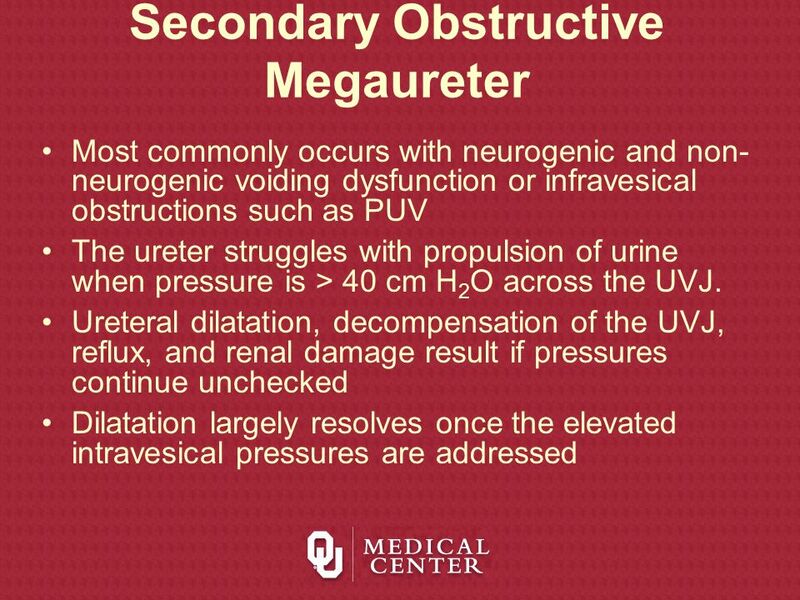 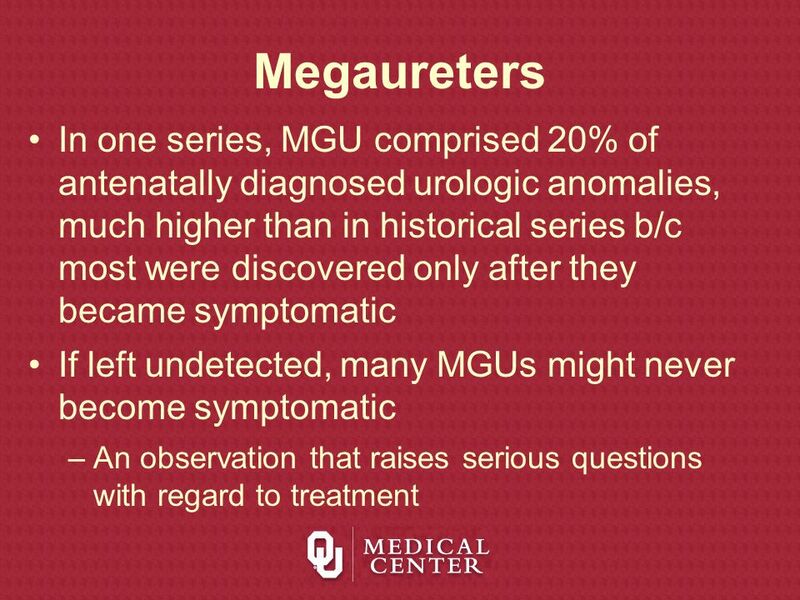 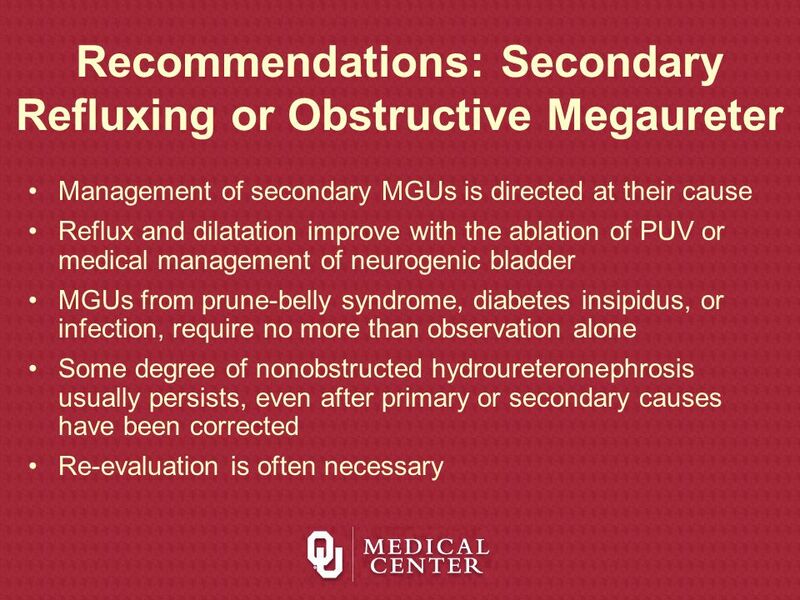 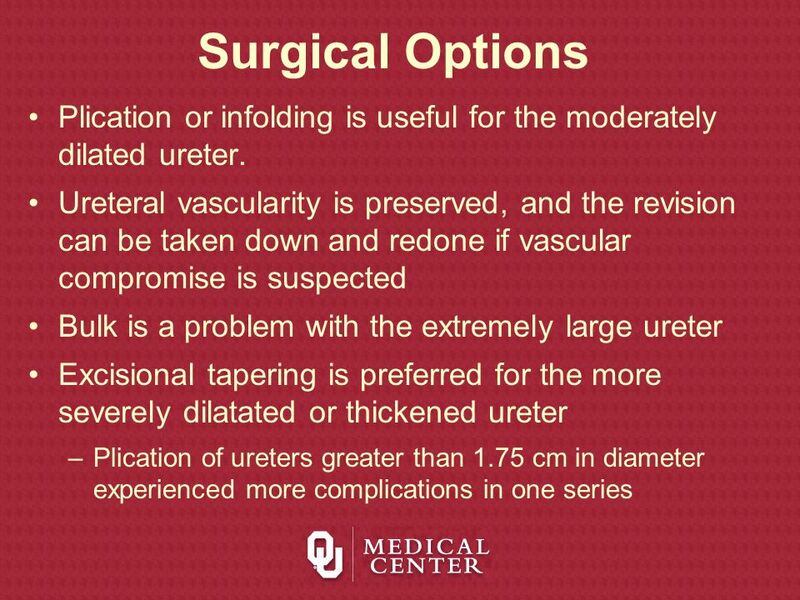 Ureters > 7 mm are considered MGUs The dilated ureter or MGU can be classified into one of four groups based on the cause of the dilatation: (1) refluxing (2) obstructed (3) both refluxing and obstructed (4) both nonrefluxing and nonobstructed. 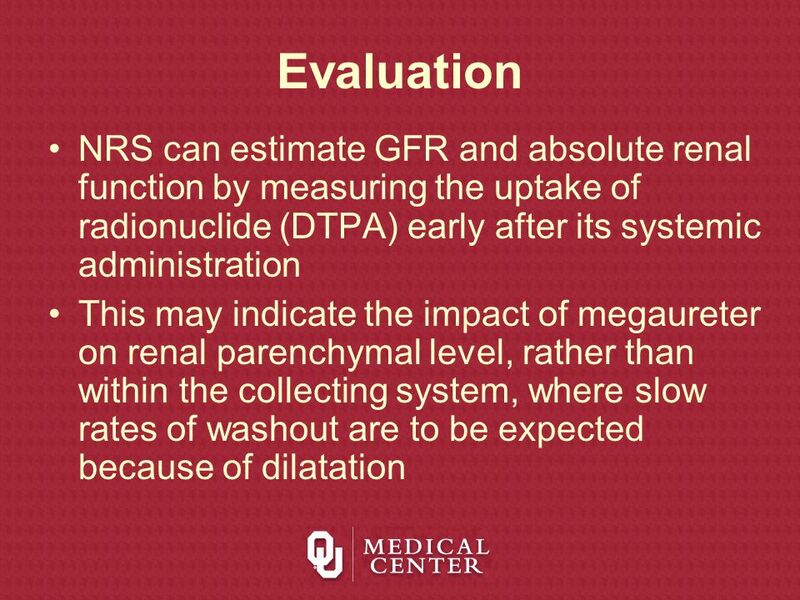 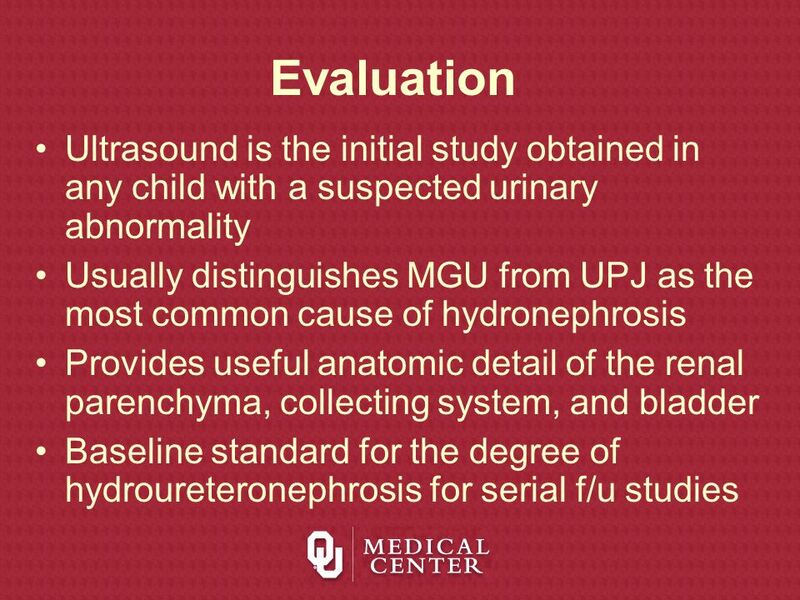 Severe hydroureteronephrosis that shows no signs of improvement or the clinical status worsens, correction is undertaken when it is technically feasible, usually between the ages of 1 and 2 years. 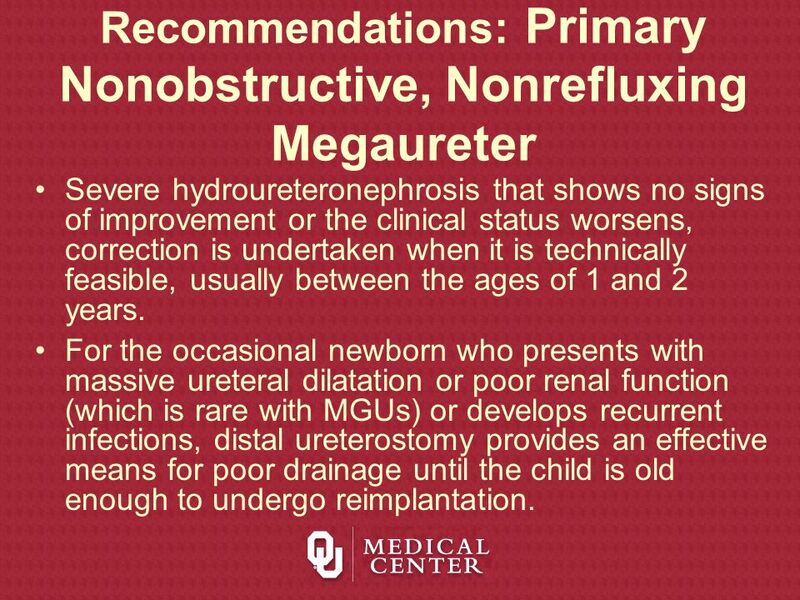 For the occasional newborn who presents with massive ureteral dilatation or poor renal function (which is rare with MGUs) or develops recurrent infections, distal ureterostomy provides an effective means for poor drainage until the child is old enough to undergo reimplantation. 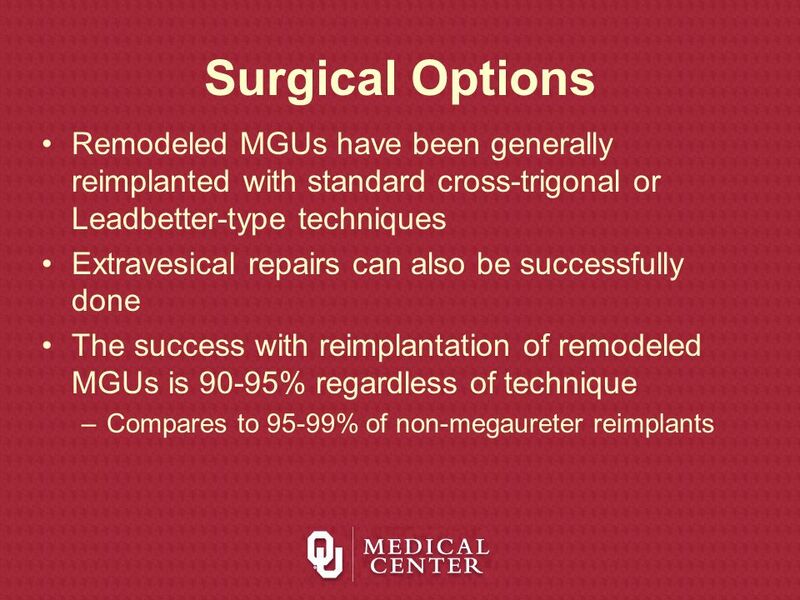 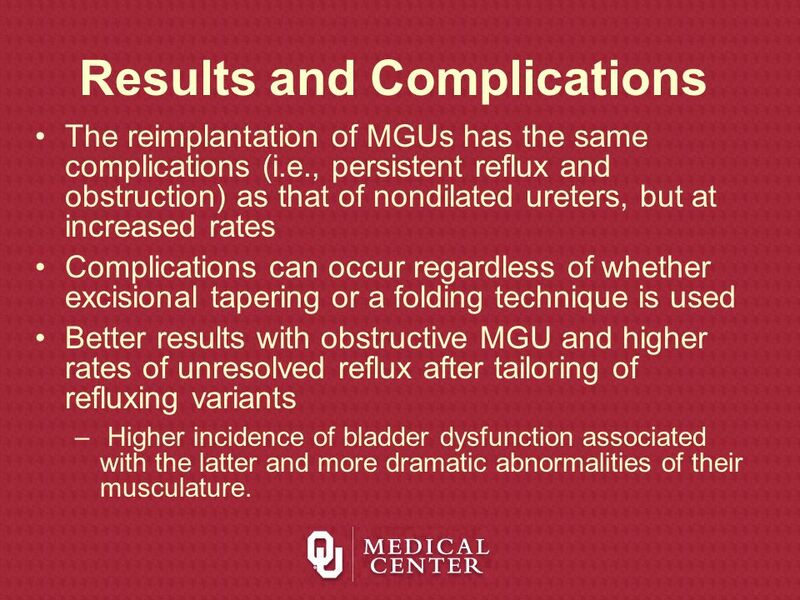 The reimplantation of MGUs has the same complications (i.e., persistent reflux and obstruction) as that of nondilated ureters, but at increased rates Complications can occur regardless of whether excisional tapering or a folding technique is used Better results with obstructive MGU and higher rates of unresolved reflux after tailoring of refluxing variants Higher incidence of bladder dysfunction associated with the latter and more dramatic abnormalities of their musculature. 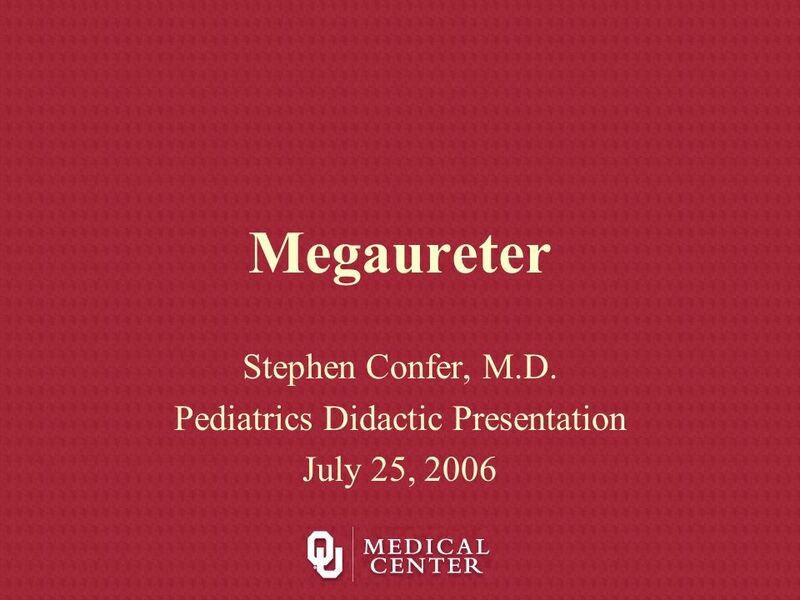 Download ppt "Stephen Confer, M.D. 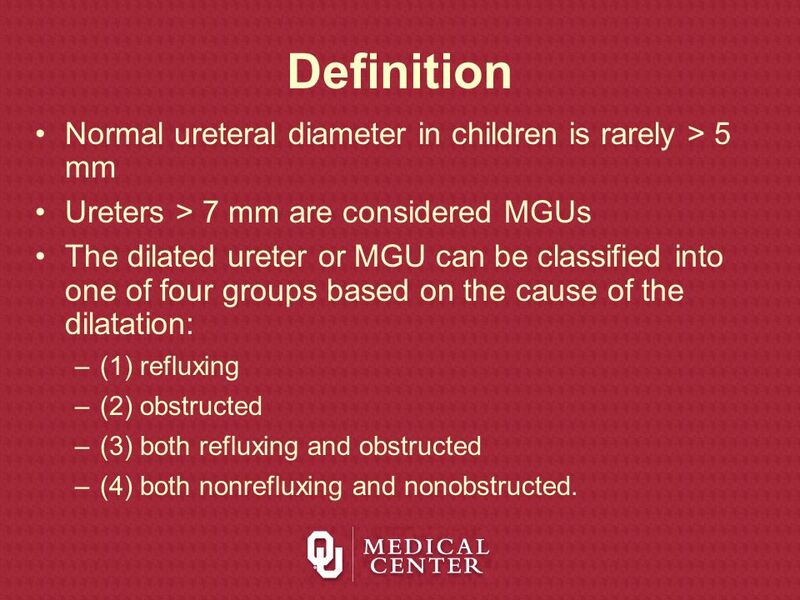 Pediatrics Didactic Presentation July 25, 2006"
 Review the components of urinary system and how abnormalities cause urologic problems  Discuss the surgical management of common urologic problems. 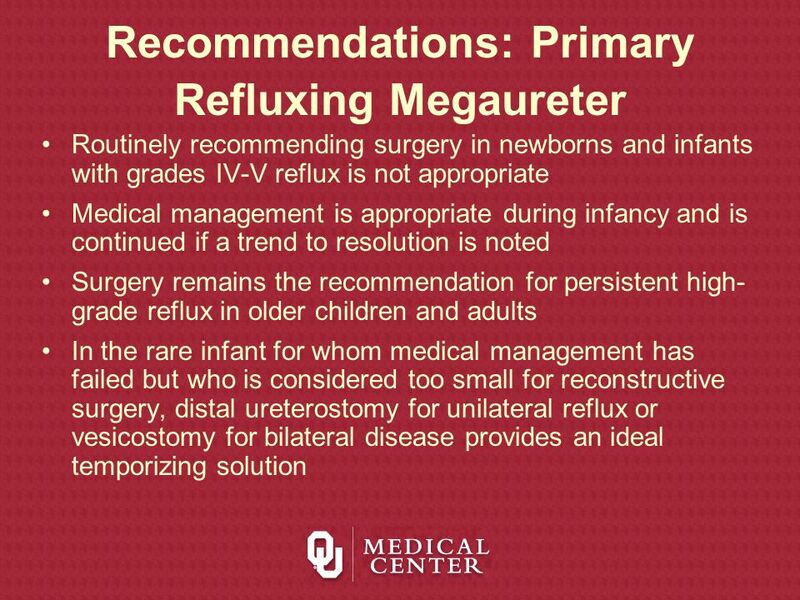 Endoscopic treatment of Vesico-ureteric reflux in Children Paediatric Surgical Centre Kowloon Central & East Cluster Hospital Authority, Hong Kong SAR. 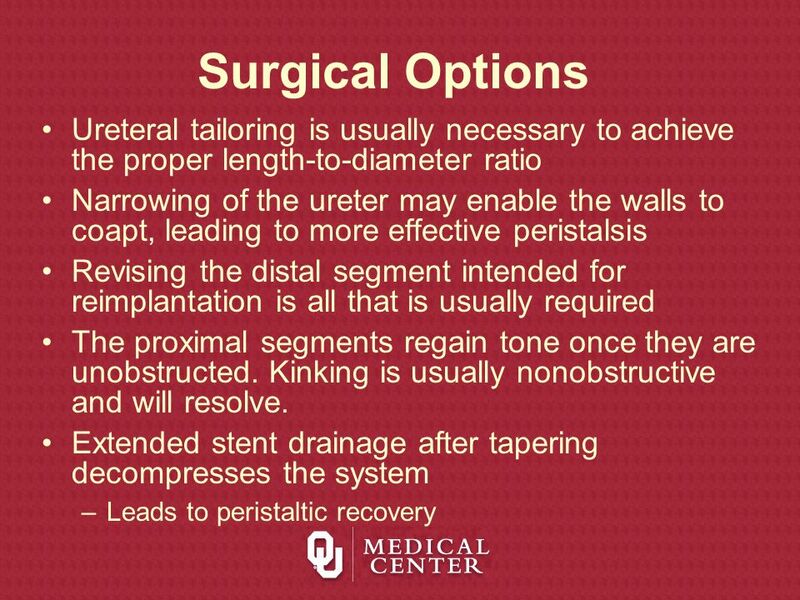 Materials and Methods Aim of this study is to evaluate our experience with STING procedure. 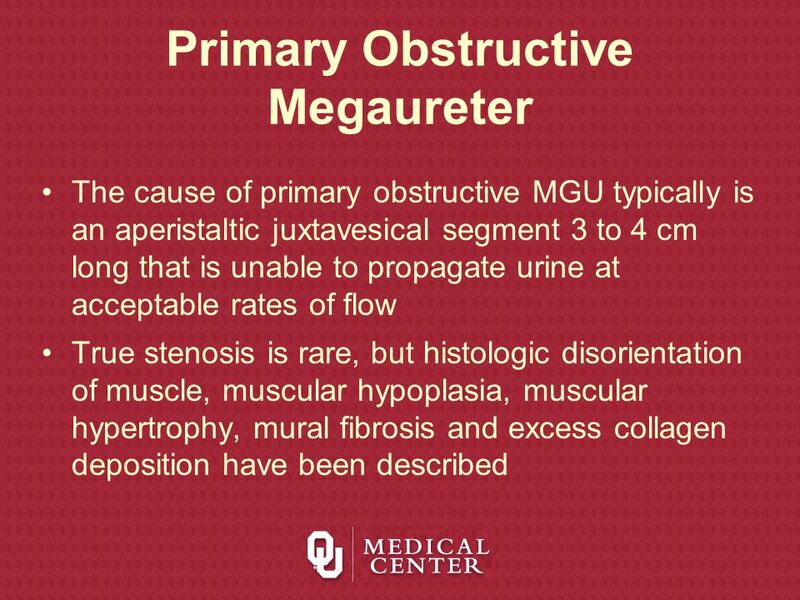 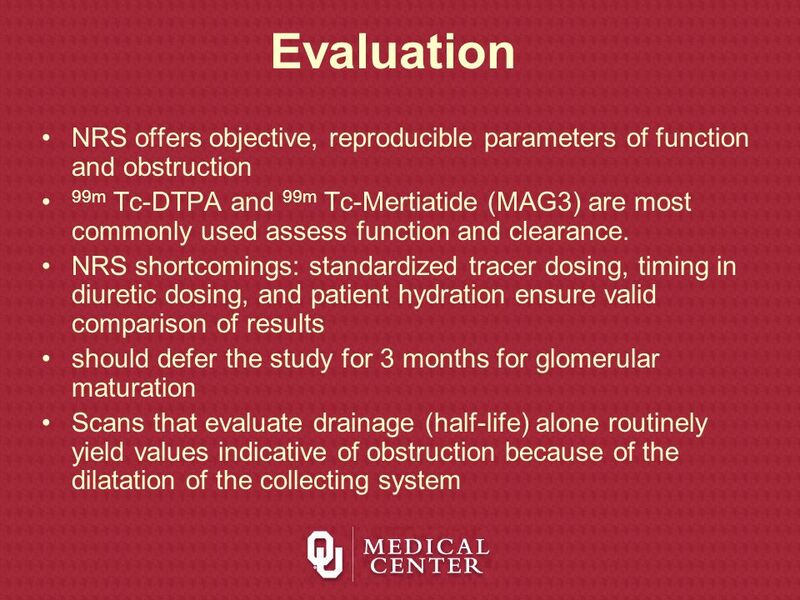 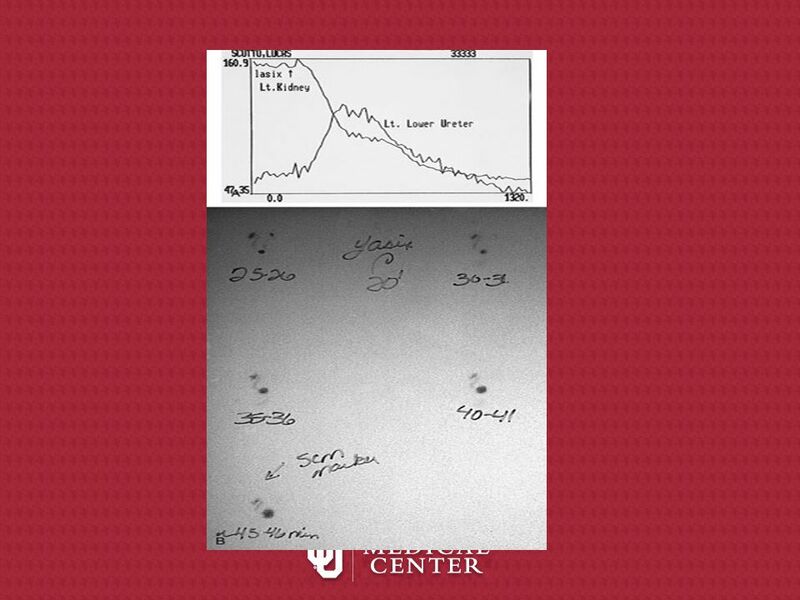 Between Feb 2004 and Feb patients & 34 ureters were. 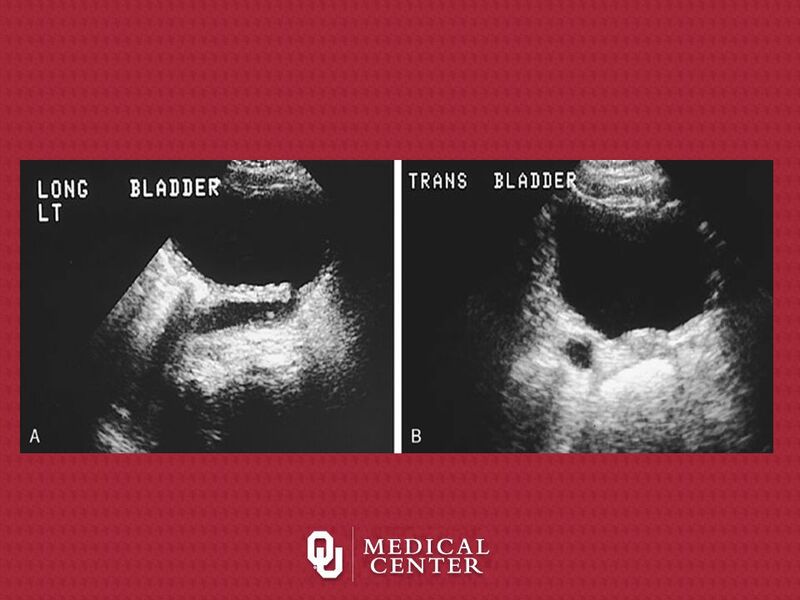 Antenatal Hydronephrosis Definition: APD  4 mm (or 5 mm) Incidence: 1:188 Approximately 50% of antenatal scans are normal postnatally Posterior urethral. 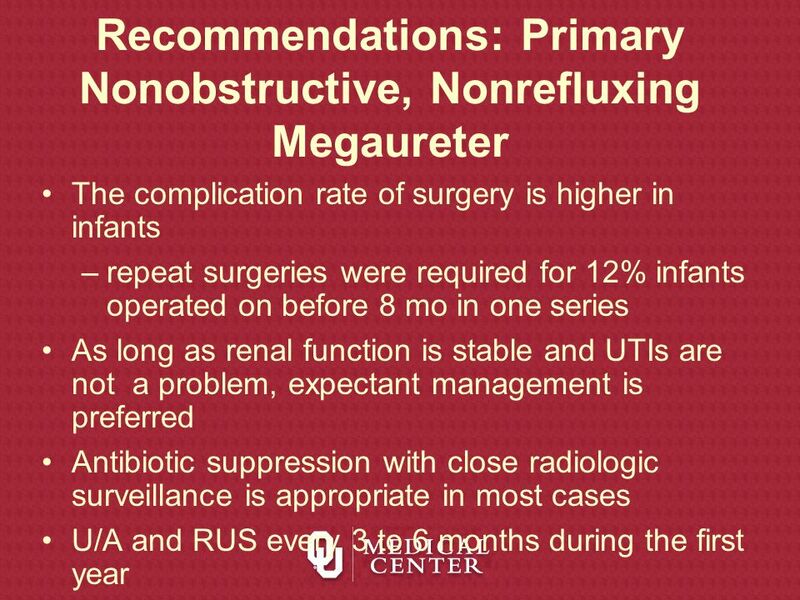 Prevention of UTI in children with VU reflux: management controversies Moshe Efrat MD September 2006.